This month is my last Topbox and I will have to check about IPSY to be sure but I think that the one I got earlier this week is my last IPSY box. I enjoyed them overall but I feel like I have everything I need for make-up and I have a good skincare routine going so I don't really need the samples like I did when I was a beginner. I didn't love the IPSY box I got and I didn't get Topbox yet but I cancelled when I saw the lame Privé box options this month and got the feeling it was going downhill too much with repeats and all that. So many spoilers of the regular box for this month are showing products I already received and I've only been with them for a couple months! That's not what I signed up for. I would actually recommend both of these subs to a newbie like I was but for now I'm tired of beauty boxes and could use the extra 28$ monthly. I have a savings goal and to achieve it I need to budget wisely. My tickets to Bruno Mars, new running sneakers, along with birth certificates I ordered for the family were enough to make my owe myself a couple hundred dollars so it makes my budget feel pretty tight! So I might not be having beauty box unboxings anymore unless I re-sub at some point, but I will try to have product reviews instead in the future! I am so over Beauty Boxs & havn't subscribed to 1 in about 1 yr.Havn't looked back with the Canadian ones. I do like the USA box's though - maybe get 1 to try out sooner or later. Ispy (waiting list) so I didn't bother & Starlooks like something I would like to try. For the time being - I just review the Usa & Canada boxs at far. I am on a budget myself & rather purchase items that I want & keep my hard earned money in my pocket. 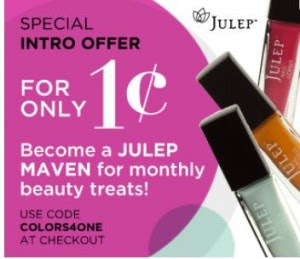 It's good value overall for someone who doesn't have much and doesn't know what she wants but eventually a person gets to know their wants and needs and it's more economical to buy a good product once in a while than have a dozen samples that will stay unused. Congrats, I unsubscribed to all my beauty box services about a year ago. They just weren't worth it!